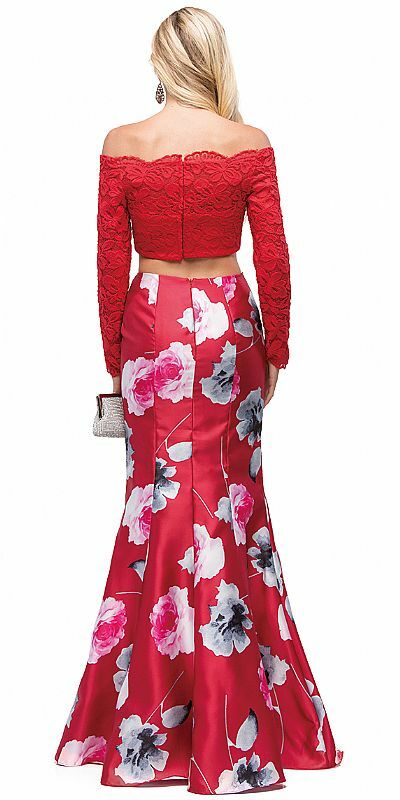 Off-the-Shoulder Lace Top Floral Skirt Two Piece Prom Dress. Scallop like neckline on sheer lace full sleeves top. 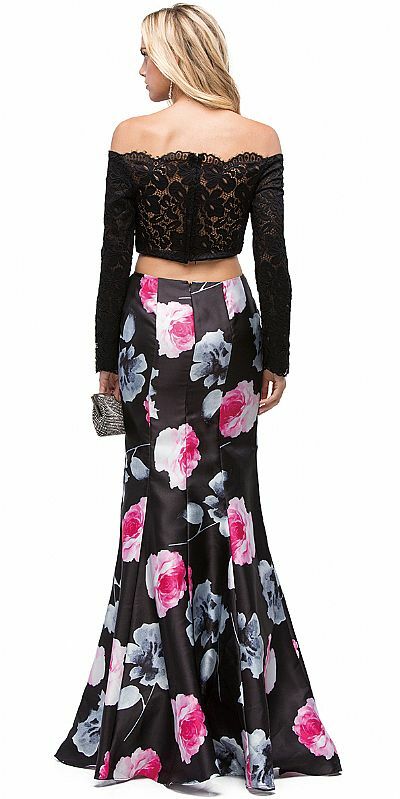 Floral print polyester satin fit-n-flare skirt is 48" long with flared bottom. 12" long top has built-in bra cups with back zipper closure & zipper closure on skirt too. Imported.